The Amish Royal Classic 3 Door Night Stand will bring to mind luxury and elegance. This Amish night stand is sure to bring some elegance into your bedroom. 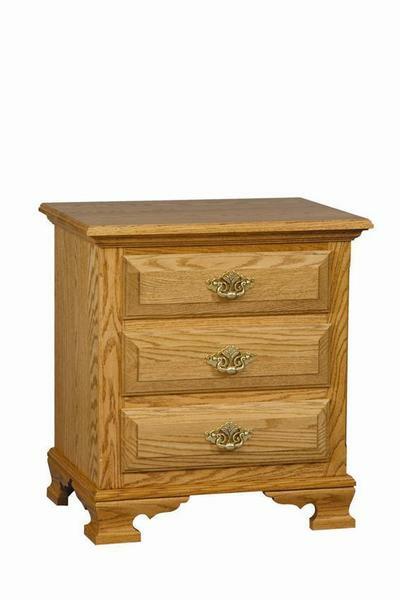 This Amish night stand has beautiful curves and detailed legs. Choose to have this night stand Amish made in Oak Wood, White Maple Wood, Cherry Wood, Brown Maple Wood or Quarter Sawn White Oak Wood.